With reports daily about how different the world will be in the future, it’s hard for most of us to envisage the world we will live in by 2028, let alone 2039 and beyond. 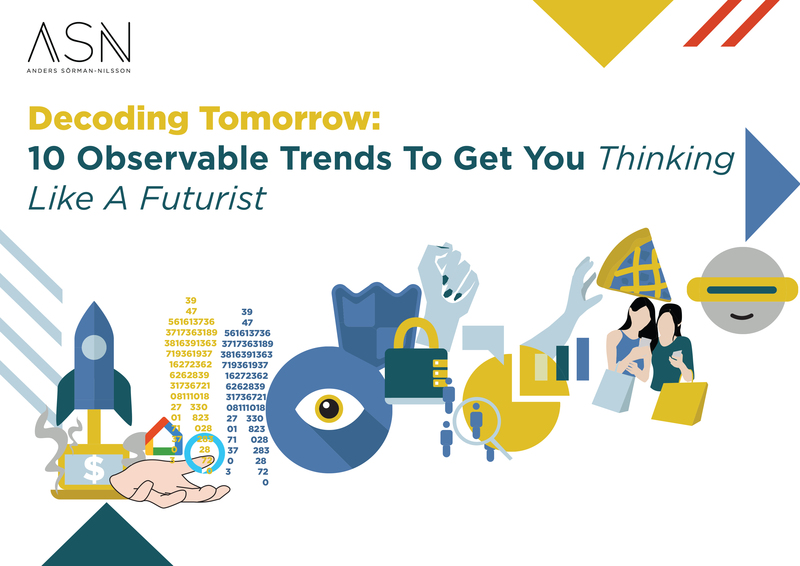 However, in order to prepare ourselves for the future, and the world we will inevitably be living in, it’s crucial for us to think like futurists to ensure we survive and thrive tomorrow. Do your homework: It’s easy to bury our heads in the sand when it comes to technologies of the future as they can often seem too hard to grasp. However, it’s crucial for everyone to keep an open mind and do their own research to educate themselves about tomorrow. Being a futurephobe is not the answer. This doesn’t have to be difficult; simply keeping up-to-date with the latest trends by reading technology news, tuning into podcasts and future-leaning media coverage, or Slow Journalism is a great place to start. In doing so, our society as a whole will make more informed decisions about the future. Ignorance is not a defence. Expand your horizons: Being a futurist isn’t simply about just predicting what’s to come, it’s about opening up your mind and changing your mindset so that you can visualise and design the kind of future you want, and then work to create it. Thinking like this is actually a fairly easy cognitive skill, and the more people that make this mindset shift of working to pre-emptively solve our global & future issues before they arise, the better off our world will be. One of the key 'mind expansion' tools in any futurist's toolset is ‘Scenario Planning’ and it is the thought experiment of becoming a business, career or science fiction author yourself, in order to create alternative future scenarios to ensure that you can withstand whatever disruption the future may throw at you. Separate trends from hype: It’s important for us all to recognise science facts from science fiction. For example, it’s simply not true that robots will take over all jobs, leaving humans obsolete. Instead, the reality is that artificial intelligence (AI) will open up space for humans to take on the exciting [creative] jobs of the future. The concept of the unknown can often scare us, but it’s important when thinking like a futurist to consider all options, scenario plan, do the research and remove fact from fiction. In other words, to think like a futurephile as opposed to a futurephobe. It’s important to become a trend spotter and look at what happens in an exponential world of change, to select drivers of change and map them out so that you start engaging in the process of narrative science. To do so, think about how the future is going to impact you and then create agile strategies to design a life and business that will allow you to fully thrive. Click here to see how I’ve been doing this kind of scenario planning with one of the world’s leading brands - Zurich, and how you can use the step by step methodology for yourself. 4. Prepare for more than just dystopia or utopia. Historically, people prepare for a future that’s either far inferior or superior to the present, and not many consider anything in between. This is where they go wrong, because a combination of future scenarios is most likely going to be the more accurate representation. The technological advances of the future, including Artificial Intelligence, robo-advisors and nanotechnology can be daunting and raise concerns around employment, education and more, yet technology will largely change our lives for the better. Changing your mindset to accepting these advances and the associated benefits will put you leaps and bounds ahead of the futurephobes in terms of readying yourself. 5. Adopt a growth mindset. A key skill of any futurist is a hunger to constantly learn, grow, adapt and adopt change. Those with a growth mindset believe that they have the ability to develop their talents through hard work and dedication. Those with a closed mindset won’t make it as futurists and will fall behind as the world moves forward. Parents, in particular, can instil a growth mindset in their children (more on this in the ABC Interview below) – one of the core cognitive skills of the future. By giving praise for hard work and encouraging children to accept mistakes as beta mode learning opportunities, parents can bring up children that are optimally prepared for the future. As a futurist, I often work with both for profit and non-for-profit brands to facilitate scenario planning sessions. Click here to find out what that entails and get in touch today to see how I can help your company prepare for the future, whatever that may be. As parents & humans, we all need to think like futurists. Thanks for your attention so far. Because you have gotten this far, I thought we'd reward you with an Infographic Summary of the Decoding Tomorrow Trend Report. Make sure you grab the full report below as well!